You have of course got a multitude of factors to consider when it comes to choosing a smartphone – do you like the looks, the software, the camera, and the extra features, not to mention the price? But here's another consideration to think about: resale value. Just like footballers, phones will need to be sold on at some point, and the chunk of change you get back from eBay or your network's recycling scheme could go a long way to a new handset. Here are the best phones of the moment for keeping their value over time. Not only does the iPhone X start at a stonkingly high price (£999/$999 if you'd forgotten), it's also likely to keep that price as time goes on. If you have a browse around second-hand sites online you'll find that price hasn't shifted much, though the phone is still fairly new. What's more, there are rumourings in the tech press that Apple won't keep the iPhone X on sale at a cheaper price when its replacement arrives, presumably because it wants to keep the hardware cutting edge. If that happens, the iPhone X could become a collector's item. The same principle of buy high, sell high that works with the iPhone X will also work with the £869/$950 Samsung Galaxy Note 8 – in fact maybe even more so, as this is such a distinctive, high end phone, complete with a huge 6.3-inch screen and an integrated stylus. That stylus gives you a lot of extra functionality, and that's still going to apply when you sell the phone on. Samsung has packed the very best mobile components into the Note 8, which means it's going to be a very decent smartphone for several years down the line. The stats tell a very clear story: Apple phones hold their value better than any other phones on the market, and at the moment the iPhone 8 Plus is the second-best iPhone that money can buy. Speaking of money, this particular model starts at £799/$799. On top of that you get internal components that are just as good and just as fast as those inside the iPhone X, as well as all the benefits of iOS 11 (and iOS 12 when it rolls around). All of that will stand the phone in very good stead when you eventually come to trade it in. After Apple, Samsung phones tend to be second best overall in holding their value, and if you want to maximise your return on a trade-in sometime in the future, the £729/$824.99 Galaxy S8 Plus is the second-most expensive Samsung smartphone you can get right now. With the Samsung Galaxy S8 tending to be the more popular handset because of its lower price, the larger edition has more of an air of exclusivity about it as well – in other words, eBay won't be flooded with as many Galaxy S8 Plus handsets when it's time to sell it on. The Google Pixel line is another series of phones with an air of exclusivity around them, which can't hurt the resale price – from the way Google sells them direct, to the carefully tweaked version of Android that runs on board, these phones are Google's pride and joy. At the moment the Google Pixel 2 XL is the best Google phone you can get, free from bezels on the front screen and with an excellent rear-facing camera on the back. What's more, you're guaranteed speedy future updates, which should keep the smartphone relevant. It might surprise you to learn that Sony phones hold their value pretty well too, perhaps due to the limited numbers of them Sony makes available, certainly in the US. They have a loyal if small fanbase too, which makes it easier to sell these devices on in the future. 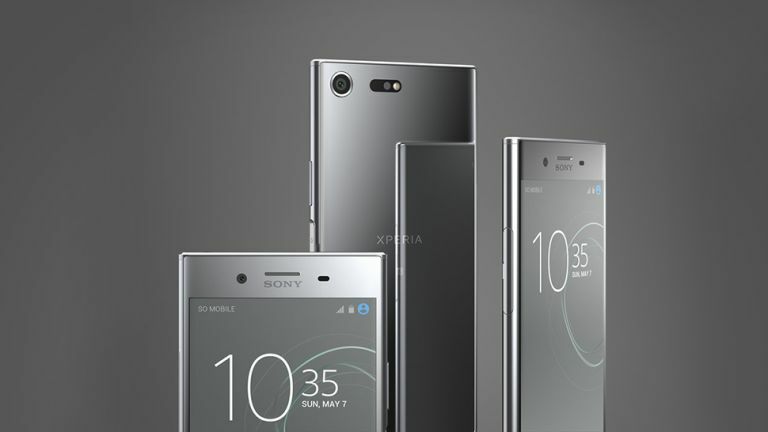 Sony just announced new handsets at CES, but at the time of writing the best Sony smartphone you can get is the £649/$649.99 Sony Xperia XZ Premium. With its 4K screen, superb camera technology, and speedy components, it won't be losing its value quickly. Yes, we are going to list a third iPhone here, because the figures don't lie – Apple phones hold their value better than any other brand. Must be something to do with all that marketing Apple does to promote its handsets as the luxury, must-have phones of today. This may be on the third rung of the iPhone ladder at the moment, but prices for the device with the 4.7-inch screen still start at a healthy £699/$699. The iPhone 8 is a very fast smartphone, and is guaranteed to get software updates from Apple for a good many years.